When you are faced with trouble, you are someone who right away reaches out for help and tries to find someone who will take care of all that you are facing. You do not want to sit around and watch things get worse; you want to find help right away and take care of things. When you are dealing with a clogged drain, you need to find someone who will be there for you right away. When you are choosing a clogged drain specialist in Phoenix, AZ, the one that you rely on must take care of things before your problem gets any worse. We are here for you and ready to get to work right away to take care of things. As you are picking out the clogged drain specialist you will rely on in your home; you want to find someone who is going to work hard. It can take a lot of effort to remove a clog from a drain, and you need to find someone who is willing to put in that effort for you. Our team is here for you with an ambitious attitude. Those who make up our team are strong and ready to get to work. They will quickly clear the drain that is giving you trouble. When you are looking to bring someone into your home to help with an issue that has come up, you need to make sure that those that you are hiring know what they need to do. 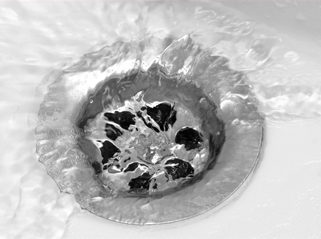 You want a clogged drain specialist in Phoenix, AZ who is truly a specialist. We are here to be those you can rely on and trust. You can have faith in us, and we will not let you down. We know how to take care of the issue that has come up in your home and fully clear your drain.